Video recording is very effective for smoothly disseminating folk techniques to the coming generations. 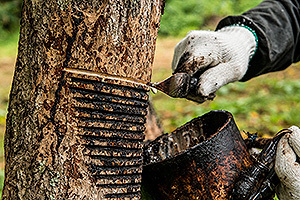 Particularly after the Great East Japan Earthquake, the importance of such records as tools for restoring and reproducing lost techniques has been recognized anew, attracting attention as a measure for ameliorating the effects of disasters as well. 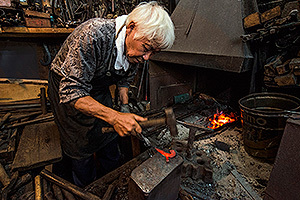 However, the existing videos produced for research and popularization took about one hour each to record, and only a few focused on the acquisition of skills or nurturing of new craftsmen. Therefore, clarifying what to record and how to record it will help learners acquire skills that have not been sufficiently verified in terms of the approach as well. This is an urgent issue because in the front line those with the knowledge and skills are aging, and proper recordkeeping is becoming an increasingly important task in ensuring that these techniques are passed on to future generations. 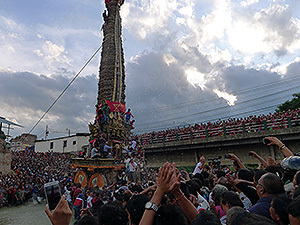 Accordingly, the Department of Intangible Cultural Heritage started a project to produce records of images for folk techniques by focusing on Kizumi’s technique for making wisteria winnowing baskets in Sosa City, Chiba Prefecture (intangible folk cultural properties designated by the national government) as a model case in September 2015 as part of the disaster prevention program. We will proceed with the production through consultation with both predecessors and successors regarding at which angles we should shoot the film and which information we should pick up to support the successors in the series of technical processes from the collection and processing of raw materials to making wisteria winnowing baskets. The project is expected to last for two years, and we will also consider how the recorded videos will be released for utilization. 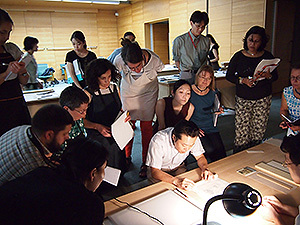 International Course on Conservation of Japanese Paper took place from August 31 through September 18, 2015. This workshop has been held jointly by the National Research Institute for Cultural Properties, Tokyo and the International Centre for the Study of the Preservation and Restoration of Cultural Property (ICCROM) for more than 20 years since 1992. 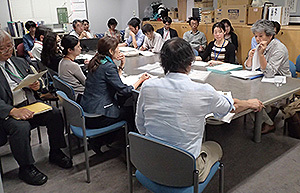 This workshop aims to disseminate techniques and knowledge on preservation and restoration of cultural properties made of paper in Japan so they can be applied for conserving valuable cultural properties in other countries. In 2015, among 87 applicants from every part of the world, we invited 10 specialists in conservation, one person from each country: Australia, Belgium, Romania, Brazil, Sri Lanka, Austria, Ireland, Russia, the Netherlands and the United States. The lectures covered the overview of how to restore Japanese paper objects, basic science for restoration materials, paper objects from an aspect of art history, and manufacture and handling of tools. Through the practical training, participants learned the process to restore paper objects and mounted art work into a hand scroll. 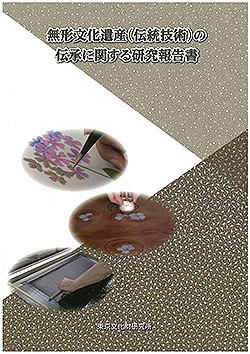 They also produced a Japanese-style book binding. In addition, they learned about the structure of a folding screen and a hanging scroll as representative forms of Japanese cultural properties, and practiced to handling such objects. The participants visited Mino City and Kyoto City as a field study, although the schedule was slightly changed due to a typhoon. In Mino, they learned how to manually produce Japanese paper, as well as its ingredients and historical background. 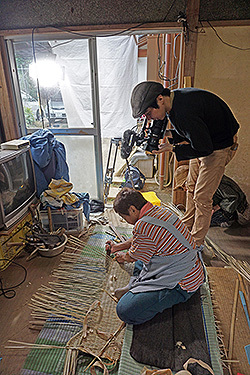 In Kyoto, they visited a traditional restoration studio and tools and materials stores. On the last day, a discussion was held as a summary of this course, and useful information was exchanged, such as how Japanese paper is used in each country. We expect Japanese techniques and approaches will be useful for conservation and restoration of cultural properties overseas.